- Suitable high speed and accurate drilling operations. - Rapid chip evacuation and perfect chip breaking. - Excellent positioning and self centering. - Improved stability and hole straightness. HSS-CO8 Material for gen. Drilling. HSS-ex center drills insure excellent performance in centering process. For spotting , chamfering & both at one operation. 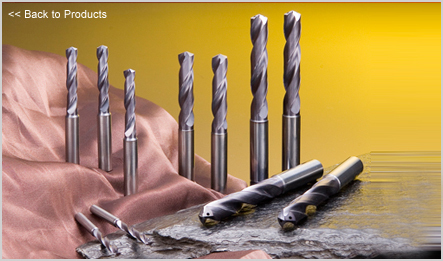 Micro grain carbide , Longer tool life & suitable for drilling of soft , thin & general materials. High Speeds/Feeds & High precision Drilling. YG-1 Special point geometry for Cast-Iron. Dia.1 to Dia.20mm with TiAiN coating.